This book is an accessible collection of case study scenarios ideal for physiology and pharmacology revision for pharmacy, medical, biomedical science, clinical science and healthcare students. Clearly structured and organized by major organ system, the book emphasises ways in which key signs and symptoms of disease inform diagnosis and the choice of treatment, together with the relevant pharmacological mechanisms. Each chapter has a clinical focus and includes clear learning outcomes, key points and model answers with detailed explanations designed to enhance students’ understanding of the physiology and pharmacology underpinning each case study scenario. 50 topics are covered and the cases presented include an extensive range of psychological, neurological, endocrine, cardiovascular, respiratory, renal, gastrointestinal and reproductive disorders, their symptoms, complications and usual treatment along with the actions and uses of some widely- used drugs. 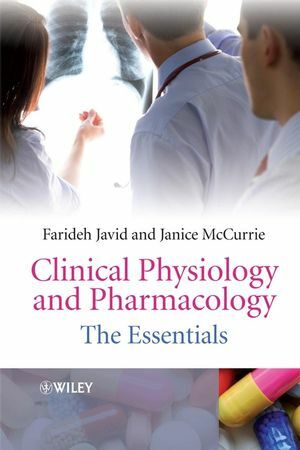 Farideh Javid is the author of Clinical Physiology and Pharmacology: The Essentials, published by Wiley. Janice McCurrie is the author of Clinical Physiology and Pharmacology: The Essentials, published by Wiley. CASE STUDY 1 A mother’s loss. CASE STUDY 2 A dangerous father? CASE STUDY 3 Continual concerns for Mr Watson. CASE STUDY 4 A scary presentation. CASE STUDY 5 Fussy Jane. CASE STUDY 6 David’s withdrawal. CASE STUDY 7 Forgetful mum. CASE STUDY 8 Disruptive John. CASE STUDY 9 Mrs Smith’s tremor. CASE STUDY 10 Rose’s loss of consciousness. CASE STUDY 11 Another day away from the office. CASE STUDY 12 Drooping eyelids. CASE STUDY 13 An agitated mother. CASE STUDY 14 A vague and sleepy lady. CASE STUDY 15 A dehydrated business woman. CASE STUDY 16 Brian’s weight gain. CASE STUDY 17 The thirsty schoolboy. CASE STUDY 18 Eric’s expanding waistline. CASE STUDY 19 Annie’s heartache. CASE STUDY 20 The executive’s medical check-up. CASE STUDY 21 A hypertensive emergency. CASE STUDY 22 Harry Mann’s bad day. CASE STUDY 23 Grandpa’s silence. CASE STUDY 24 The gardener who collapsed on his lawn. CASE STUDY 25 Hanna’s palpitations. CASE STUDY 26 Moving to England. CASE STUDY 27 The sneezing boy. CASE STUDY 28 Mandy’s sleepover. CASE STUDY 29 Bob and Bill’s breathing problems. CASE STUDY 30 A punctured chest. CASE STUDY 31 Carmen’s repeated respiratory infections. CASE STUDY 32 Chandra’s chronic bronchitis. 6 Kidney and body fluid disorders. CASE STUDY 33 Greg’s glomerulonephritis. CASE STUDY 34 Kevin’s chronic kidney problems. CASE STUDY 35 The polar bear’s fun run. CASE STUDY 36 The housewife who drank too much. CASE STUDY 37 An exhausted mother. CASE STUDY 38 Patsy’s Australian journey. CASE STUDY 39 The dizzy blonde. CASE STUDY 40 Mr Benjamin’s bowel problem. CASE STUDY 41 A disturbed holiday. CASE STUDY 42 Jude’s sudden admission to the hospital. CASE STUDY 43 The producer’s stomach ache. CASE STUDY 44 Daria’s abdominal pain. CASE STUDY 45 That bloated feeling. CASE STUDY 46 Rob’s ocular accident. CASE STUDY 47 A severe attack of greenfly. CASE STUDY 48 Panic of a college girl. CASE STUDY 49 Shabana’s monthly problems. CASE STUDY 50 Demi’s baby.